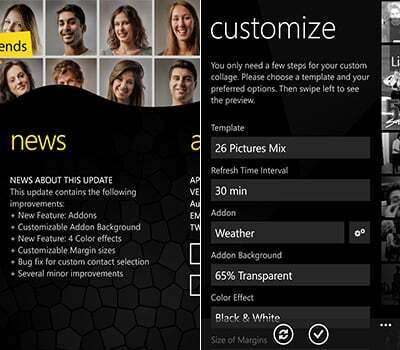 Hello Friends is a useful and popular app for Windows Phone that enables consumers to add photos of contact stored on the device to the lockscreen and create the same mosaic effect that's utilised on the People Hub Live Tile. As well as being available for Windows Phone 8 (with the added lockscreen support), Hello Friends is also downloadable for Windows Phone 7 hardware, but lacks automatic functionality. We previously looked at Hello Friends when it was bumped to version 3.0, but the app has been updated since so what's new in the latest release? The developer has taken a lot of feedback into account, which has shaped the new release to feature more functionality and customisable options for consumers to make use of. Hello Friends 4.0 sports addons that can be combined with the collage to add more content to the lockscreen. We're familiar with some of the extras, which are present in other lockscreen apps, but it's good to see everything in one app. Transparency for said addons is configurable as well. More addons are planned to be added into the app to allow further customisation without the need to use multiple apps. But that's not all as Hello Friends also sports additional colour effects, one being a high contrast mode. Lastly, users can alter the margin of images in each and every template. A number of bugs have been squashed, making version 4 well worth the upgrade and a rather massive update. If you haven't tried the app out already, we strongly urge you to do so - a free trial is available. 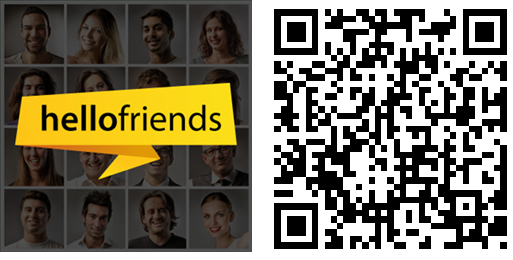 You can download Hello Friends for $1.29 (£0.99) from the Windows Phone Store. 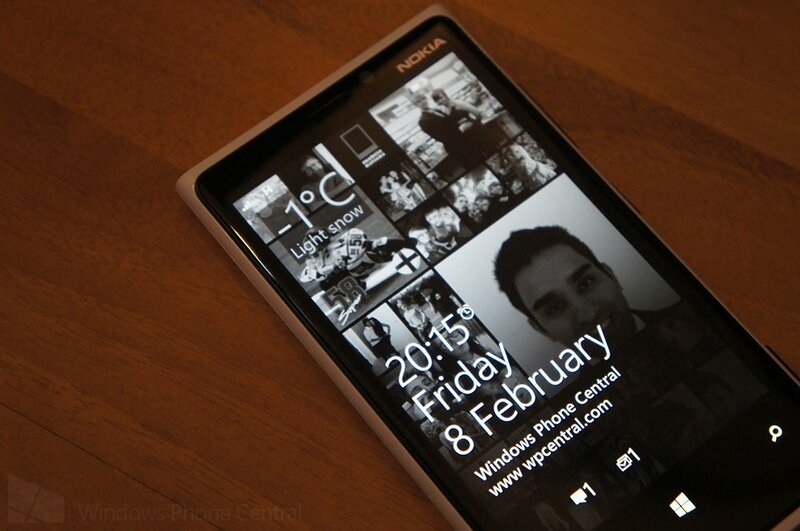 It's stated that Windows Phone 7 users can expect an update soon.